I’m obsessed with kimonos because they are perfect for layering, especially in the fall. These gorgeous Floral Kimonos come in three colors and are a steal at $18.99 (reg. $45). This is this the perfect piece to add some class to your wardrobe. It has a stylish long and loose fit that makes it super fun and easy to style. Throw it on over your favorite tee or tank with your favorite jeans for a trendy, chic look! You’re going to want this in every color. We have the cutest after school snack for the kids. 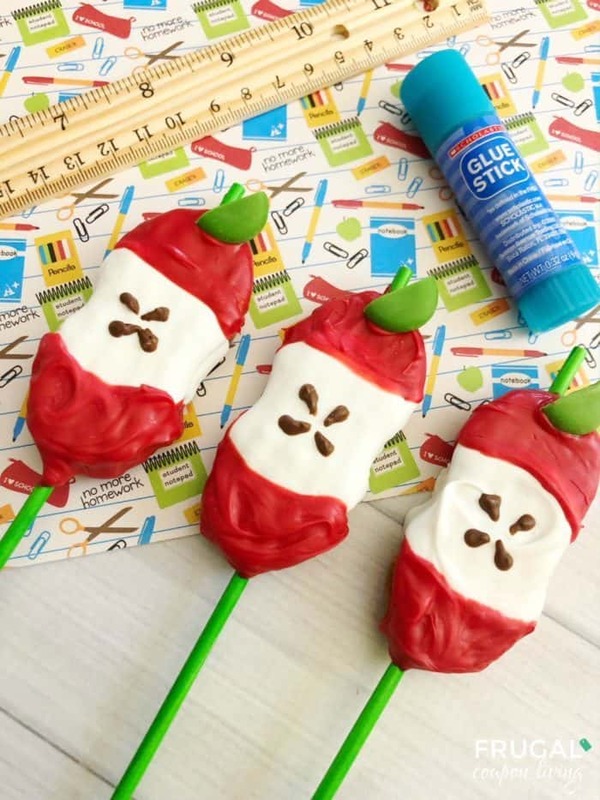 These Back to School Apple Pops are easy to make with only two simple ingredients – candy melts and nutter butter cookies. They look just like apple cores! We did something similar a few years ago but we wanted to evolve it for those that love peanut butter as much as we do. 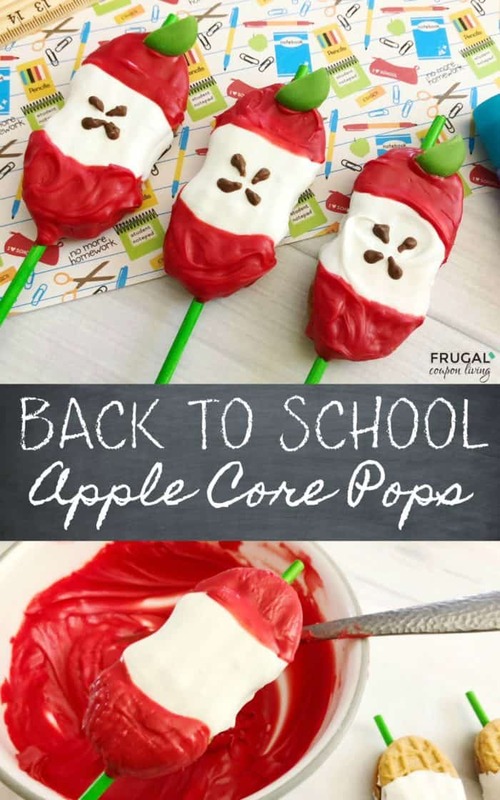 These back to School Apple Pops are an easy after school snack. They require only two ingredients – Nutter Butter Cookies and Wilton Candy Melts (of various colors.) Make them before the kids get home as a fun surprise or unwind one afternoon and make them with the kids. Don’t forget to bag a few and send in to school for a special teacher! Allergy alert! These do contain peanut butter so consider making our Apple OREO Pops as an alternative. 2. 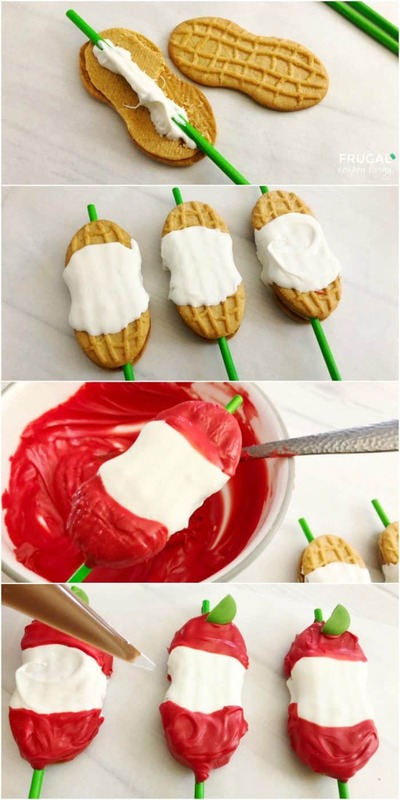 Once melted, carefully open a Nutter Butter cookie and add a dollop of melted white chocolate and gently press a green lollipop stick onto the frosting side of the Nutter butter so the stick sticks out the top about 1/2” (for your stem) and carefully place the Nutter Butters back together. 3. Place your cookies on a baking pan lined with parchment paper and transfer to the freezer for 5 minutes. 4. 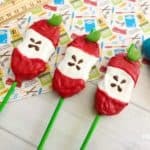 After freezing, hold the lollipop sticks over the melted white chocolate and coat the center with the melted white chocolate, let any excess drip off and set back onto the parchment paper and into the freezer for another 5 minutes. 6. Break a small green candy melt in half, smooth the edges with your finger and place on top of the Nutter Butter by the “stem” or green lollipop stick. Transfer to the freezer for 15 minutes. 7. In a small microwave safe bowl, heat 1/4 cup of your light cocoa candy melts on 50% power for 2-3 minutes, stirring every 30 seconds until melted, pour into a decorating bag and cut a tiny tip off the end of the bag. 8. Use your decorating bag of light cocoa candy melts to draw 4 tiny seeds onto the white center of the apple. 9. Let harden and enjoy! 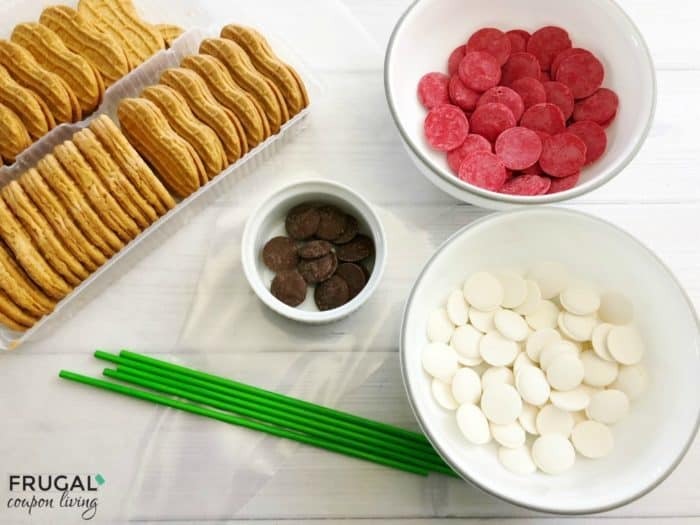 Look at this other creative Back to School Snack using Candy Melts and Graham Crackers. 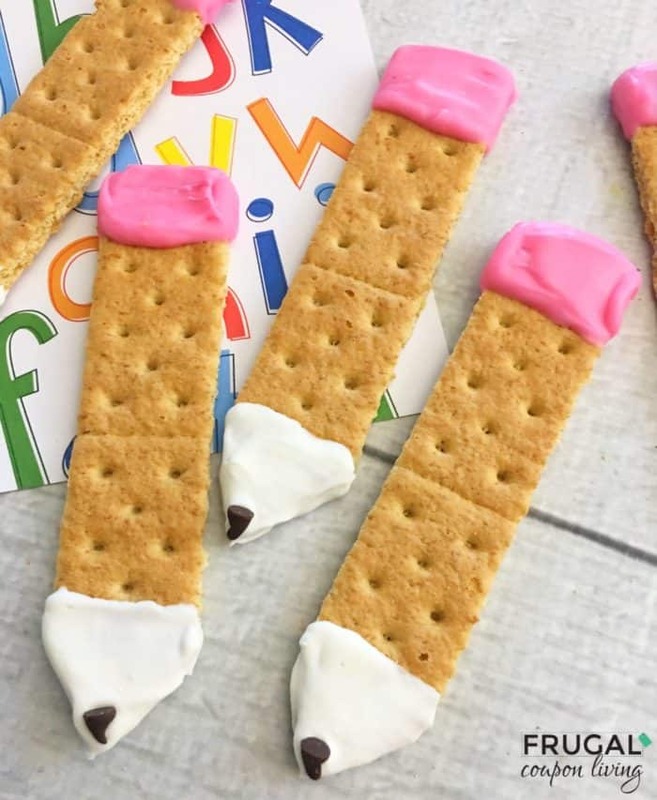 Back to School Graham Cracker Pencils – Pin to Pinterest. 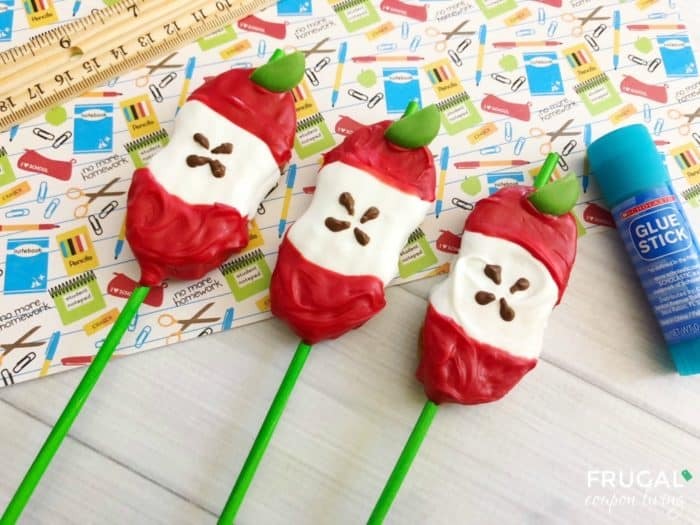 We have other Apple Pops, enjoy these Apple OREO Pops. Pin to Pinterest. This bagel is a hoot! Woodland Owl Bagel. Pin to Pinterest. 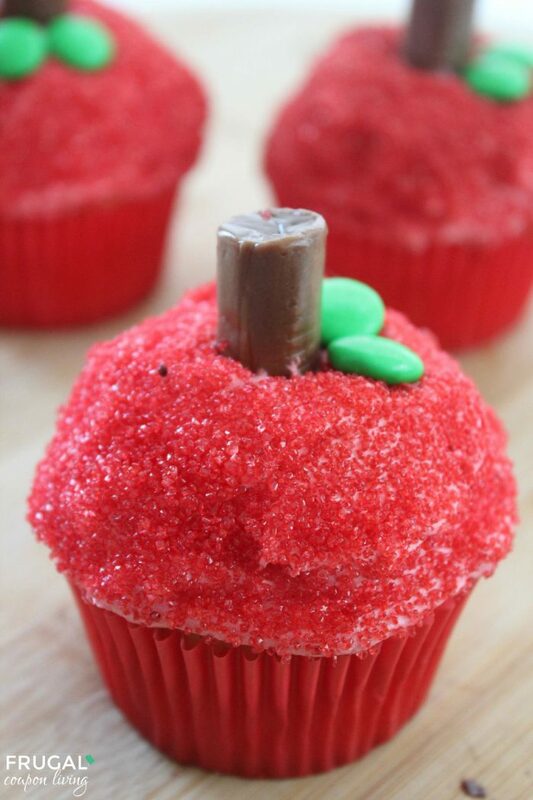 Also enjoy these tasty after school desserts – Back to School Apple Cupcakes . Pin to Pinterest. 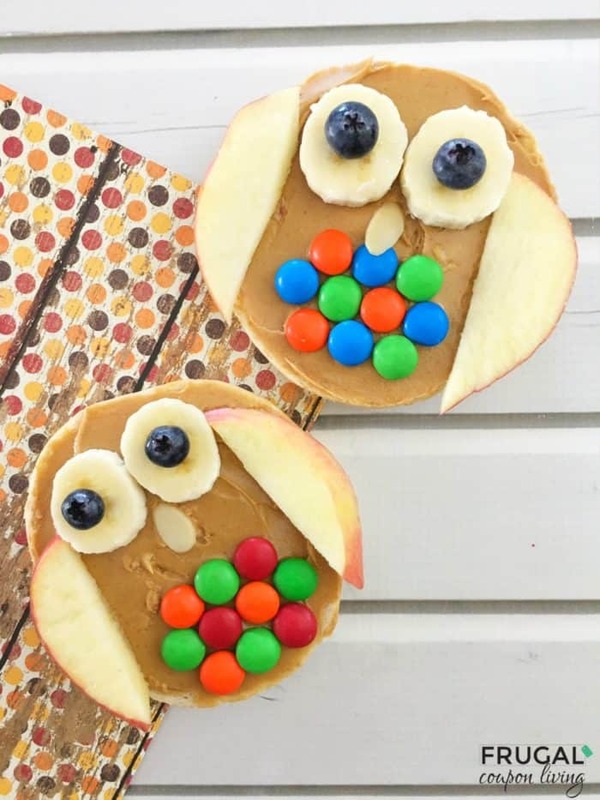 Save all these creative Back to School Kid Snack Ideas too. You will want them for class parties or for when the kids get home. Pin to Pinterest. Do your kids love to play super hero? They’ll get a kick out of these super fun Personalized Kids Super Hero Capes! Right now, you can get these for $12.99, down from $25. These capes come in four styles – The Flash, Super Girl, Wonder Woman and Super Man. They have the super hero’s logo with your child’s name or initial either in the logo or below it. My daughter is obsessed with Wonder Woman right now, and she would go crazy for a Wonder Woman cape. This is the kind of thing you can grab now and put aside for a birthday or the holidays!